Every needed to manually control host/domain IPs using the hosts file? Well, good thing most computers have a hosts file, but what do you do with other devices that do not support such a feature. If you’re running a DD-WRT router, by using DNSMasq the DNS change will work for all devices that connect to your router, including mobile devices. Continue reading"Adding static DNS records on DD-WRT"
I got a Linksys WRT54GL v1.1 router that somewhat worked and somewhat didn’t: it booted alright (no led errors), responded to ping on its default IP (192.168.1.1), bot other than that, it did not respond on the web interface, nor telnet/ssh, nor dhcp. I tried the 30/30/30 reset , tried TFTP recovery – nothing worked. As it had the original Linksys firmware, at this point it was either a hardware failure or the only recovery course would be the JTAG reflash. 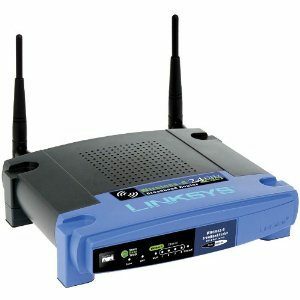 Continue reading"Recovering a bricked Linksys WRT54GL v1.1 using JTAG – Part 1: the hardware"